Do you have acne? If it’s a big concern for you, you should try Proactiv Solution, a combination therapy kit specially formulated to solve acne problems. It is a comprehensive acne treatment and prevention system developed by Stanford-trained dermatologists Dr. Katie Rodan and Dr. Kathy Fields. 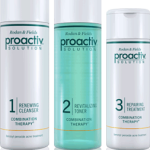 Proactiv Solution is the Number 1 anti-acne system in the world and is manufactured in the United States by Guthy-Renker. It is a safe over-the-counter product that is FDA-registered. Facial acne has never been a problem for me but there are times that I have acne breakouts on my back. Not knowing of any skin care solution that would take care of it, I just patiently wait it out until the acne goes away. 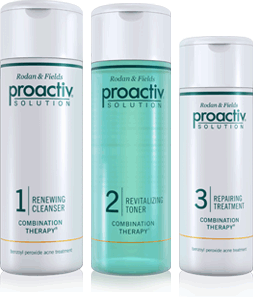 I’m glad to know now that Proactiv has a product that will help banish “bacne” or back acne. 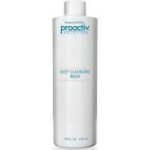 Proactiv Deep Cleansing Wash is a medicated facial and body wash formulated to unclog pores and reduce oiliness. It clears blemishes on the entire body and prevents future breakouts. And now there’s good news for current and would-be Proactiv users! Proactiv has an ongoing special online promo. Customers will be given a FREE 4oz. Proactiv Deep Cleansing Wash when they use their credit card in buying a Proactiv Solution 30-day or 60-day kit online at my.proactiv.com.ph. 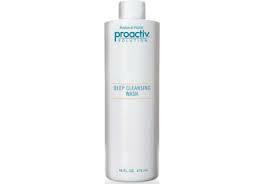 Customers who will purchase a Proactiv 30 Day Kit or Proactiv 60 Day Kit using their Credit Card at my.proactiv.com.ph during the promo period will receive 1 unit of FREE 4oz Proactiv Deep Cleansing Wash. The freebie will be delivered to the customer with their order. No special instructions or steps necessary as the system will automatically detect if they are qualified to join. This promo cannot be combined with other promotions. Customers availing of other promos such as the concurrent “Upgrade Your Kit Promo” or other promos at the Proactiv Online Shopping Cart (http//my.proactiv.com.ph) are not eligible for the free product. Promo period is from April 1, 2013 – June 30, 2013. With this online promo and Proactiv’s full money-back guarantee, now is a good time to stock up on your Proactiv Solution!